One of the original Mercury Seven astronauts, Virgil [Gus] Grissom was a regular visitor to Bermuda’s National Aeronautics & Space Administration tracking station during the early days of the American manned space programme — but in 1965 he enjoyed a view of the island few have witnessed before or since. 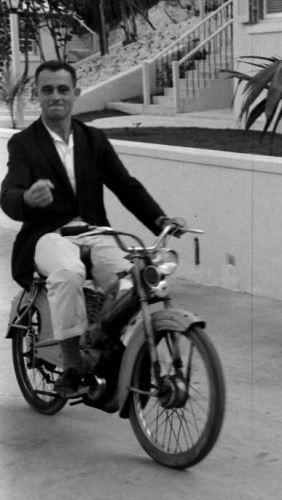 Mr. Grissom [pictured here on a rental moped in Bermuda by a "Life" photographer] — the second American in space and the first American to go into space twice — was commander of the March, 1965 Gemini III mission. NASA management did not like this name, and asked him to change it. Mr. Grissom replied, “How about the Titanic?”. The managers relented and allowed Grissom to keep “Molly Brown”, but this was the last Gemini flight they allowed the astronauts to name. 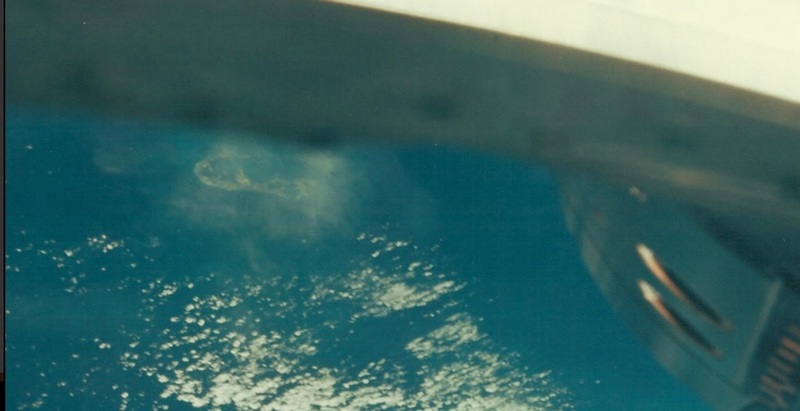 During the March 3 orbital flight with John Young, Mr. Grissom and his colleague shared a spectacular astronauts’-eye view of Bermuda which they wanted to photograph for posterity. But Mr. Young managed to capture an image of the island — partially obscured by a thin cloud cover — just before Bermuda was lost from sight. Mr. Grissom was killed along with fellow NASA astronauts Roger B. Chaffee and Edward White when a fire swept through their Apollo 1 capsule during a training mission for America’s manned moon-landing project on January 27, 1967. The school system at the former US Naval Air Station in Bermuda was re-named after Roger B. Chaffee in 1970. Last week [Apr. 24] Canadian astronaut Commander Chris Hadfield tweeted a photo of Bermuda from space and included a “shout out” to his friends the Lavigne family who reside here. He also posted the photo on Facebook and Google+, reaching over a million of his followers. Commander Hadfield was the the first Canadian to walk in space and the first Canadian to command the International Space Station. After he arrived at the International Space Station in December, 2012, he quickly became an internet sensation by posting photos online showing an inside look at living in space. Thanks, BERNEWS, for a bit of Bermuda history from 48 years ago. Bermuda’s tracking station played a key role in those early days of space travel.